Originally, playing football was not his main ambition in life. He thought of becoming a lawyer, a doctor or a politician just like many of us in those younger years. But while a child, he loved kicking around balls made out of banana fibres or milk polythene bags as a pass time venture when he was not in class or at school. Today, Hassan Mubiru, 26 has won himself a celebrity status both at home and else where on the African continent where the eminent striker has featured for both national and major club competitions. Born in Lukuli in Makindye Division, Kampala district, Mubiru attended Katwe Noah Primary School and Makindye High School where he dropped out of school at senior two for lack of school fees. At this time, his interests in becoming a lawyer, a doctor or politician were beginning to fade. "I rarely took part in school football, but the few times I did, my friends and teachers insisted on telling me that I should go ahead and develop the football talents. They said they had seen a footballer out of me," he recollects. At Makindye High School, Mubiru realised the need to develop his soccer talents. He willingly joined the school team on the advice of his teachers and friends and later featured in the team as the youngest player ever to play in the school's first 11 team in 1994. 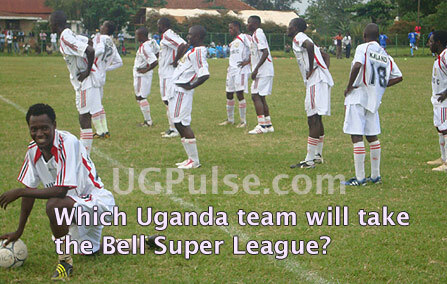 But besides being good at school football, Mubiru had failed to make it to the ranks of club football. "In 1994, a gentleman called Siraje Walakira who was then coach of Lukuli United, a second division team in Kampala noticed the way I played and recruited me in his club and encouraged me to start full time training with him." "Since I was now out of school, I took the chance to improve on my soccer talents," he reveals with a broad smile. During the 1995/96 first divisional football competitions in Kampala, Lukuli United featured in the tournament along side Police FC. Mubiru took this chance at the tournament to display his brilliant skills on the right flank, which caught the attention of Police FC's tactician Denis Obua (former FUFA president) to woe the youngster to the Nakawa Police playground when they qualified for super division that season. "I eagerly crossed over to Police FC that year because I also wanted to become a super divisional player," he says. At police he found immovable Paul Kabyomere on the right flank thus Obua had to assume him a new role as a twin striker where he proved himself as the main weapon for his new club. During the 1996 super divisional league, then only months old in Police FC, he emerged as the third top scorer in the league, a factor that altered the big four clubs SC Villa, Express, Umeme and KCC to all scramble for his signature. Mubiru signed for Villa at an assumed offer of between sh2m to sh3m and started training with the Jogos at Villa Park the same year. 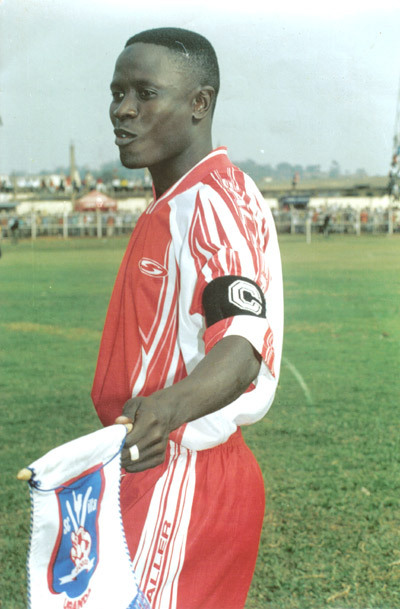 But to-date, Express fans still insist Mubiru was destined for the Red Eagles during the 1997 players transfer but claim that it was Express big man Kassim Buyondo who spear headed for his move to the Jogoos and not to Express. These claim that Mubiru had even started training at Wankulukuku stadium when he eventually crossed over to Villa Park. But on his arrival at Villa Park, Mubiru found a star-studded squad. He had to struggle to find his spot on the team. Then Villa coach, the late Paul Hasule also realised the outstanding qualities in Mubiru, describing him as a rough diamond that just needed polishing. "With patience, Hasule shaped Mubiru into a modern marksman who could open and dash on the flanks and keep on moving to avoid 'Police Marking' and at the same time fall back to help his team-mates," recalls one of the Villa players of the time. In the absence of former French and Turkish based professional Magid Musisi, Mubiru, then 20 was called to fill the big shoes of the Cranes skipper (Musisi) in the group four African Cup qualifiers encounter between Uganda and Algeria in 1998. He made a spectacular historical debut in the game. The thrilling striker scored twice, including a memorable last minute strike that gave Uganda a 2-1 victory over Algeria's Desert Worriers. Mubiru earned him self-a nickname of 'Zidane' (A Frenchman who had brought much honours in the 1998 World Cup in France) by Villa fans. 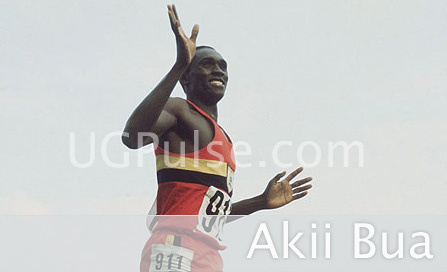 In 1999, the same year, Mubiru scooped a well-deserved honour of Uganda's footballer of the year award by the Uganda Sports Press Association (USPA) for his dazzling skills and goals both at club and international games. He also helped Villa to regain its top-flight status, which it had lost in 1994. Mubiru won two doubles for his club including Super Cups, Hedex Cup Rwegyema Cup in addition to engineering his club to the finals of CECAFA club championship held in Kampala in 1998 where Villa lost to Tanzania's Yang Africans in the spot kicks. From then onwards, the question that was roaming among the soccer fraternity in Uganda was how long Villa would keep the ace at their camp! In the 2002 December players transfer market; the question was answered when Mubiru made a brave decision to cross over from Villa Park to Mayuuni (Wankulukuku stadium) at an estimated transfer fee of between sh8m to sh10m. 'Figo' Mubiru's arrival at Wankulukuku instilled a self-belief among Express fans led by their boss Godfrey Kirumira that it was time for them to turn Villas dominance into history. At Wankulukuku, 'Figo' joined an ally of stars in the names of Phillip Obwinyi, George Ssemogerere, Jamil Kyambadde, Ibrahim Buwembo, and Francis Gonzaga to mention but a few. When the 2001 season kicked off, things soured for Kirumira's dream team right from the kick off and it was evident that the club needed some general cleaning which saw coach Godfrey Nyola together with the club's longest serving players being shown the exit. This however could not stop Villa from winning the league title that season. Express instead got a consolation by lifting the Kakungulu Cup in 2001 under the guidance of Mubiru who scored twice against Villa in the finals. In the 2002 league season, Express once again failed to stop Villa from winning the league title for the fourth consecutive time and to make the matters worse they lost their Kakungulu Cup title to Villa the same season. At the end of the 2002 season, another broom sweeping took place at Wankulukuku where other veteran players, Odoch, Kyambadde, Kakooza and Gonzaga were dropped from the club. The departure of Odoch earned Mubiru the club's captaincy armband. However, the question that year was, "Can Mubiru use his armband to lead the Red Eagles to a league title they had lost in 1996 and when would he score a league goal against his former club Villa?" Mubiru's strong points on the field lie in his ability to take on defences and then leave goalkeepers harmlessly crawling on the ground. Apart from the skills and target, the Ugandan 'Figo' has the ability to fool his markers with a lazy gait only to surprise them moments later with a sudden burst of speed. The star striker however has a history of missing glaring chances that can bring spectators and teammates into tears. His form, maintenance, discipline and tempers are also questionable. But with such skills and precision, the question that is now being asked, is how long Kirumira will under the eyes of both local and foreign scouts. 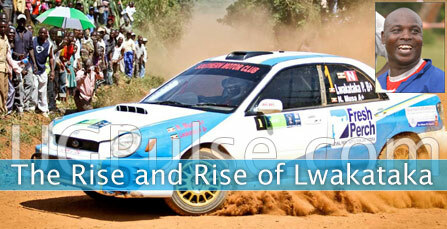 No wonder he has been snatched by APR of Rwanda where he has been putting his football talents to good use.